21/05/15. Shaqlawa, Iraq. -- Ali (left) 18 y.o. 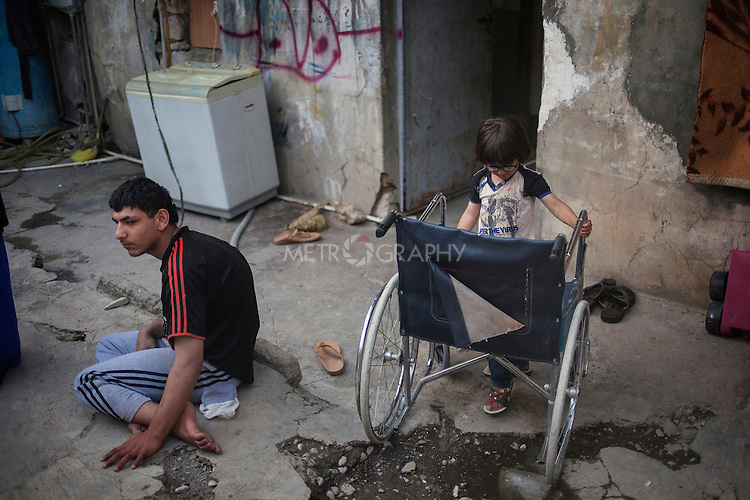 from Falluja is affected by a muscular dystrophy. He needs a wheelchair to move around. He lives with his mother and father, three sisters and two brothers. Othman, 5 y.o. (right), one of Ali's brothers, has a genetic, degenerative condition for which he will loose his sight. It is the same condition that also affects his father. The family lives in an old house, with two rooms and a kitchen for which they pay approximately 400.000 IQD.